When using the Internet we can access many things ranging from searching for information, news, searching for material, tutorials or guides, entertainment such as watching movies, streaming, playing games, and so on. So it is not surprising if Internet users continue to increase and continue to grow, even in some countries all of their communities have used the Internet. Millions of people in various countries access the Internet via a Smartphone or PC-Laptop. This is a big business opportunity because there are a lot of users. So it is not surprising that many companies take part in the Internet so that they can reach buyers from the Internet. With users who are very sure the Internet can be used as an advertising medium such as Promotion, Marketing, or selling goods. 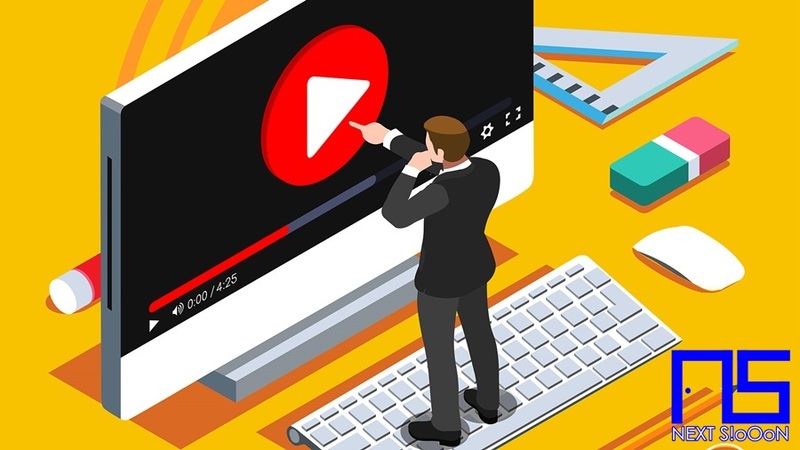 As internet users, we are not surprised if we see a lot of advertisements or promotions on websites or videos (Youtube), we will see various advertisements of interesting products or services. This shows if iNternet can also be used as Media Advertisements. Even greater coverage because it has the potential to be seen by all people around the world who use the Internet. In addition, we are aware that there are many people who use the Internet more than a few hours each day. This is a great opportunity to offer products through the Internet. So it is not surprising if the Internet can be used as a medium for promotion and advertising. Installing Ads on the Internet can be easier, especially if you have your own Channel / Social Media / Website, you are free to do promotions in your account without having to be constrained by costs. Different if you choose advertising sites like Facebook Ads, Google Ads, Bing Ads you have to spend money on advertising costs. But the price is certainly easier than the cost of advertising on television that is more expensive. If you have your own Website or Blog, you can place as many ads as possible, with very cheap fees and even free. You can promote your products more freely because you have your own space. You don't need to pay for each time the ad shows because you installed it on your personal blog. Ads that you install on the Internet have a range that can be seen by almost everyone in the world. Even you have the potential to get buyers or clients from outside the area. So that the opportunity to get a customer is greater than just selling items offline. For beginners, you can try installing an ad on a free blog, you can try to create a free blog like Blogger or Wordpress. The way to set it up is very easy and you can search on Google or Youtube to find information or tutorial on how to create a blog. That is the excess information from more efficient and inexpensive Internet Advertising, hopefully useful. Thank you for visiting Next Siooon. The Next-Siooon website that discusses the latest Online Businesses, various accurate and relevant information. We try to provide information that is useful, legit, provides motivation and references so that we can all make money from the Internet. As well as providing information on the Legit Online Business site so that no one is harmed like being deceived. Keyword: Marketing and Promotion through the Internet, Marketing and Promotion through the Internet Information, Marketing and Promotion through the Internet Detail Info, Marketing and Promotion through the Internet Information, Marketing and Promotion through the Internet Tutorial, Marketing and Promotion through the Internet Start Guide, Complete Marketing and Promotion through the Internet Guide, Marketing and Promotion through the Internet Basic Guide, Basic Information About Marketing and Promotion through the Internet, About Marketing and Promotion through the Internet, Marketing and Promotion through the Internet for Beginners, Marketing and Promotion through the Internet's Information for Beginners Basics, Learning Marketing and Promotion through the Internet , Finding Out About Marketing and Promotion through the Internet, Blogs Discussing Marketing and Promotion through the Internet, Website Discussing Marketing and Promotion through the Internet, Next Siooon Blog discussing Marketing and Promotion through the Internet, Discussing Marketing and Promotion through the Internet's Details Complete the Latest Update, Website or Blog that discusses Marketing and Promotion through the Internet, Discussing Marketing and Promotion through the Internet's Site, Getting Information about Marketing and Promotion through the Internet at Next-Siooon, Getting Tutorials and Marketing and Promotion through the Internet's guide on the Next-Siooon site, www.next-siooon.com discusses Marketing and Promotion through the Internet, how is Marketing and Promotion through the Internet, Marketing and Promotion through the Internet's way at www.next-siooon.com, what is Marketing and Promotion through the Internet, Marketing and Promotion through the Internet's understanding, Marketing and Promotion through the Internet's explanation Details, discuss Marketing and Promotion through the Internet Details only at www .next-siooon.com information that is useful for beginners.